I think it’s something all parents have to do at some point, especially if you live on the east coast USA. Kids grow up seeing Mickey Mouse on TV & on toys; they watch Disney movies; and there is the Disney channel and apps for tablets & phones. To our son, Disney World was just a big castle, nothing more. Earlier in December we surprised him with a trip to Walt Disney World (telling him the night before we were leaving), and he was quite overwhelmed when he realized it was more than just a castle. Our first few hours there was mostly spent close by our side, not wanting to venture out to have photos with characters or do much more than ride some of the attractions. But he did have fun, the question is….did we? I couldn’t believe that this trip had to be planned months in advance, and getting any meal reservations at a restaurant or ride reservation had to be done 60-90 days in advance. (Can you imagine if my patients had to book an appointment three months in advance?). The planning and marketing that went into this trip was quite impressive. Disney is certainly top notch. My last trip to Disney was probably 30 years ago, so you can imagine how much it has changed since then. I felt like it was my first time there. After the advice of friends, we spent two days at the Magic Kingdom and one day at Epcot. We did the “Christmas with Mickey” party one night, staying at the park until close to 11pm. We rode Space Mountain four times that day (guess he likes roller coasters!). Our day at Epcot was sandwiched between the MK days, which was a smart idea as it gave us some time to “relax” since Epcot was a little bit more laid back. Disney was quite an experience, but I’m in no hurry to go back. Maybe in a few years when my son is older, and most likely we’ll leave my husband at home. He’s not into crowds and Disney is certainly a crowded place. But it was a trip we had to do, let our son experience all that Disney has to offer (though there is so much we missed). There were lessons to be learned from this trip, including the amazing job Disney does at marketing themselves and creating a demand. It was quite impressive and something I will remember and try to learn from. Have you been to Disney? What have you learned? Dr. Stone is certified in Pediatrics through the Academy of Family Practice and the Council on Chiropractic Pediatrics (C.A.C.C.P. 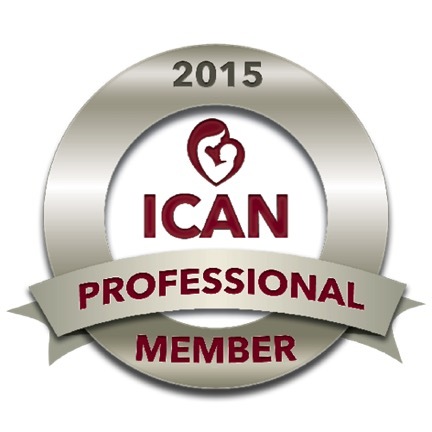 certified) and is a Fellow of the International Chiropractic Pediatric Association (F.I.C.P.A.). She is also certified in the Webster’s Technique, a specific chiropractic sacral analysis and diversified adjustment, primarily for pregnant women. Does my dog need a Chiropractor? Located in Kennesaw, serving the Kennesaw, Acworth, Woodstock & Marietta communities (among others), the health professionals at Active Life Chiropractic are dedicated to helping you improve the health and quality of life for you and your family.